An elegant ladies' watch from Accurist. Crafted from sleek stainless steel, this timepiece has a crisp white dial with date window and mesh style strap. Delicate and feminine, the perfect accessory for a stylish transition from day to night. 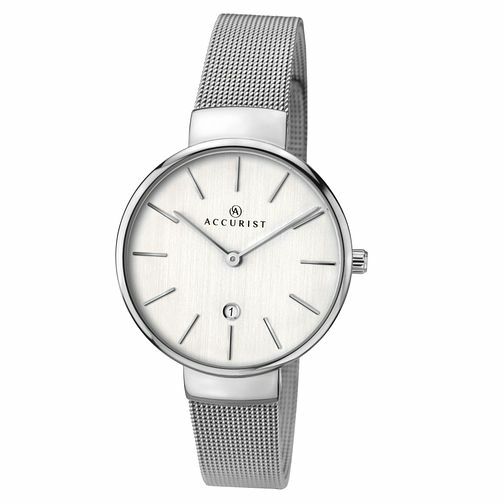 Accurist Ladies' Stainless Steel Mesh Bracelet Watch is rated 4.0 out of 5 by 2. Rated 5 out of 5 by Anonymous from Efficient and fast service Easy to order, lots of updates on progress of order and reasonably quick delivery.